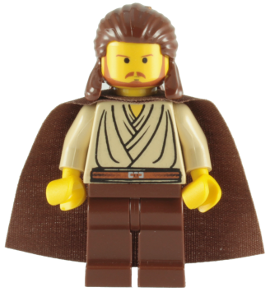 The first new male hair piece in 20 years was designed for Qui-Gon Jinn in 1999. In 2000, 7190 Millennium Falcon included the first version of a Chewbacca™ minifigure. It was a challenging design, until the design team came up with the idea of creating a head with fur covering the back and front of the torso as you can see from these prototypes. 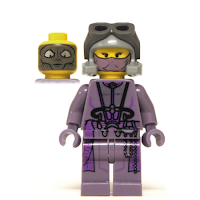 This method has been used in many minifigure designs since. The Darth Vader minifigure has changed many times over the years, but his helmet remained unchanged from 1999-2015. The image shows Darth Vader minifigures from 1999 until 2017. 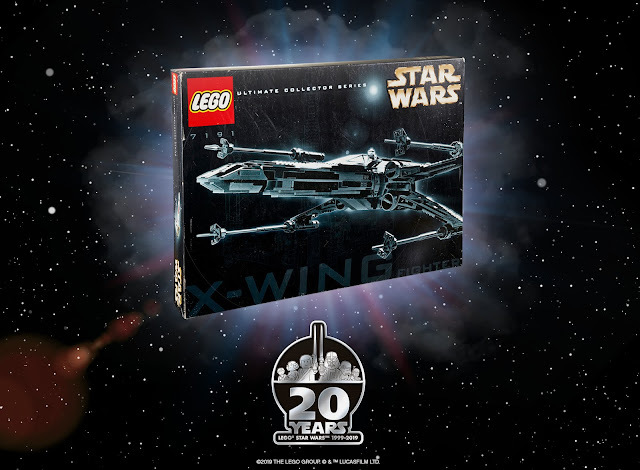 The cockpit windshield element in the 7191 X-Wing Fighter™released in 2000 was based on a mould for a 4.5-volt battery box from a LEGO Technic set! 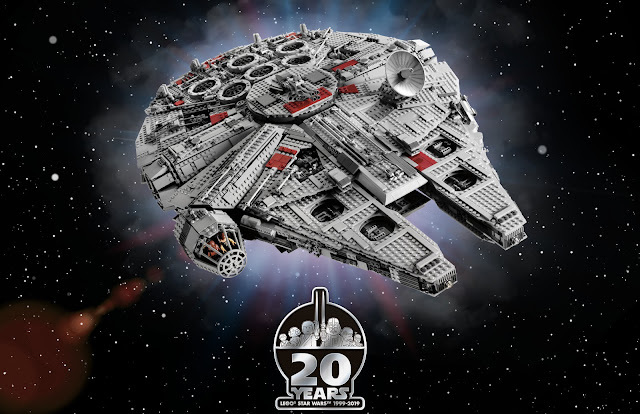 As reader Skye Barnick has noted, "after a bit of digging, I'm thinking that it was based on Electric, Motor 4.5V 17 x 6 x 5 with Switch, which came out exactly the same year that the original Ultimate Collector's Series X-Wing Fighter did. From the look of it, it's EXACTLY the right size for the the UCS X-Wing windscreen to fit over top of the switch!" 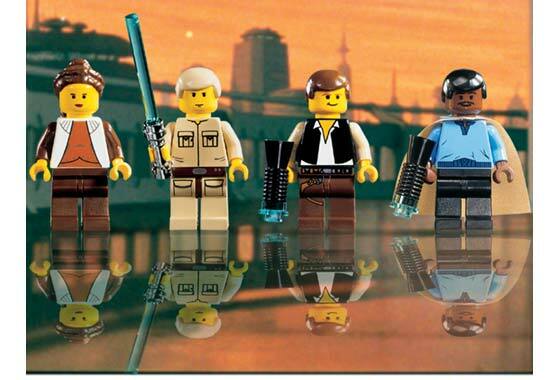 In 2002, Yoda, Boba Fett and Ewoks were some of the first minifigures to receive short legs. Since then, there have been quite a few Yodas produced. 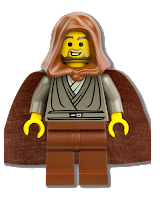 The Jedi Knight (affectionately known as Jedi Bob) minifigure appears in just one set, 7163 Republic Gunship from 2002. Although a second version (7676 Republic Attack Gunship) was released in 2008 and a third (75021 Republic Gunship) was released in 2013, he never made a reappearance. The Zam Wesell minifigure from 7133 Bounty Hunter Pursuit in 2002 was one of the first minifigures to have double sided face decoration. 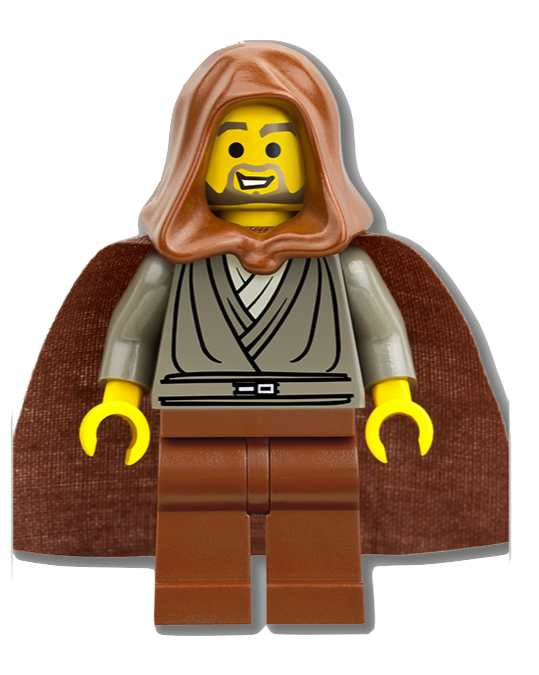 The introduction of more natural skin colours in all licensed products reached the LEGO Star Wars universe with 10123 Cloud City™ from 2003. The 10179 UCS Millennium Falcon released in 2007 spent a day in a Billund sauna, since it couldn’t fit into the ovens usually used to quality check a product’s resistance towards prolonged sunlight. 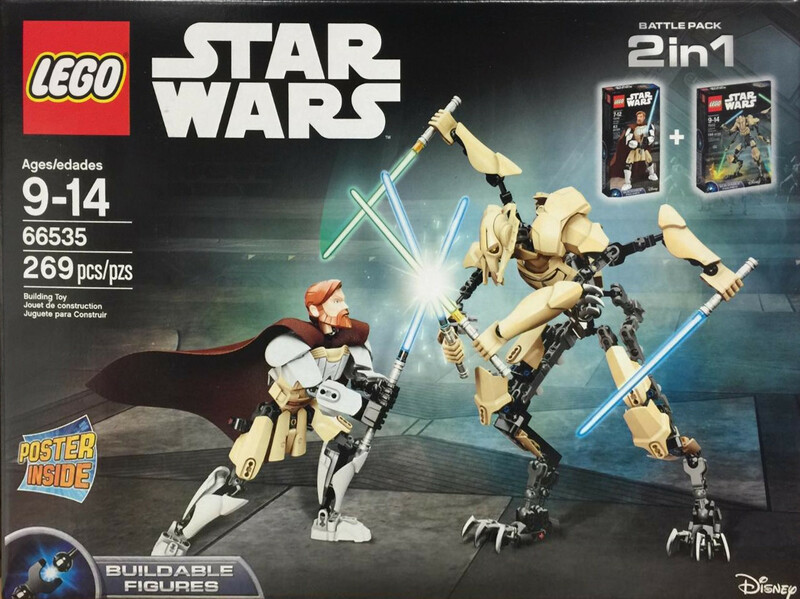 The CCBS platform (Character and Creature Building System) with its large-scale buildable figures enters the LEGO Star Wars portfolio in 2015. All images are © The LEGO Group unless otherwise attributed. I have that Zam Wessel! Sand Purple is an awesome color! 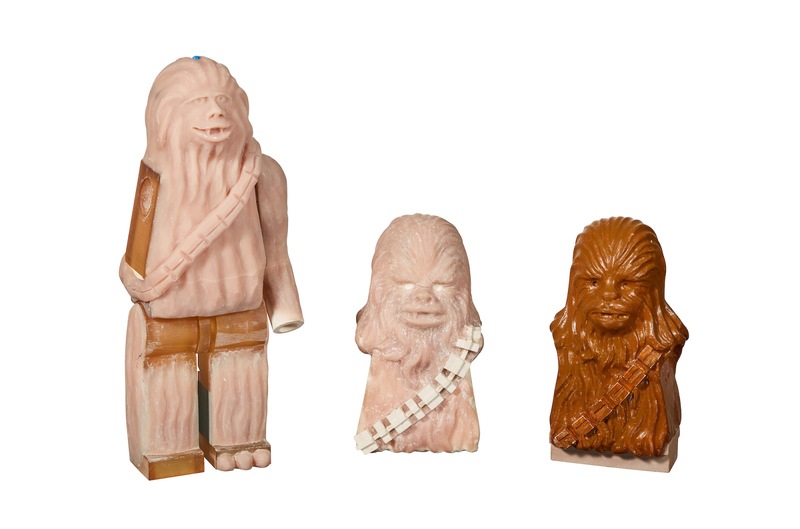 On the left is the original Jar Jar head, which had pointier ears and hollow pits in the eyes. On the right is the updated head, and the black looks like it's probably a print pattern. On the final head, the entire eye, a patch around it with a split above the nose, and the upper part of the ear are all printed in flesh. The black portion only appears to be on the left half of the head (which matches the way the pattern appears on the Shaak Ti "hat" sculpt that was part of this same press release). I can't tell if it exactly matches the final print, but it could just be a rough guide for whoever ends up creating the printing pads. 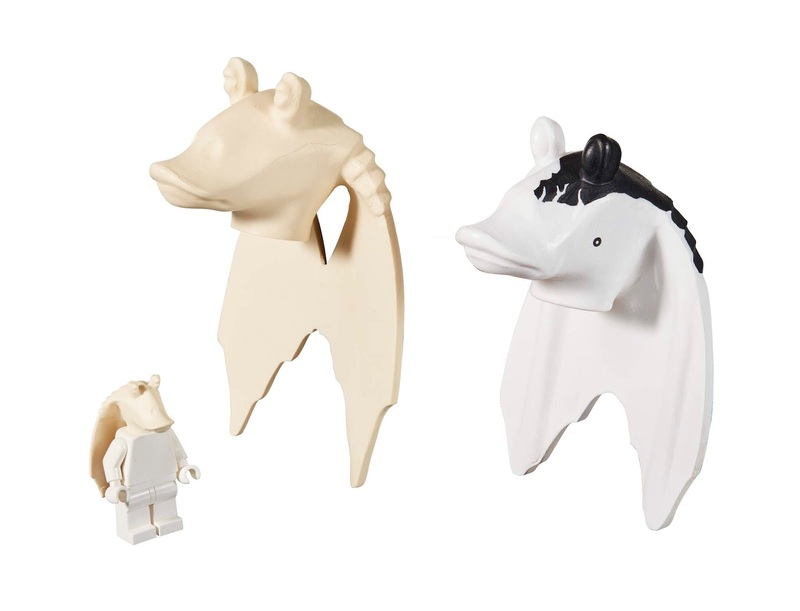 The new Jar Jar has appeared in three sets from 2011-2015, and the character hasn't appeared at all since then. It's hard to say if they'll use the same mold and print the next time they include him in a new set. I'm having a hard time understanding how the X-Wing windscreen was based off a battery box mould. I grew up with 4v trains and I'm trying to wrap my head around the relationship! This confused me as well, and at first my best guess was that they were talking about a prototype piece they were planning to replace the old battery boxes with, but never ended up using because of the switch to 9V. However, after a bit of digging, I'm now thinking that the source of this info was misunderstood by or miscommunicated to whoever wrote this up, and it was actually based on a 4.5V Technic piece, not a 4.5V Train piece. Specifically, https://www.bricklink.com/v2/catalog/catalogitem.page?P=3142c01#T=C, which came out exactly the same year that the original Ultimate Collector's Series X-Wing Fighter did. I don't own any sets with this combination battery box and motor, but from the look of it, it's EXACTLY the right size for the the UCS X-Wing windscreen to fit over top of the switch! I've updated the article with Skye's info - thanks again!